The SAISD Foundation raises funds to invest in the great ideas of teachers and educators in San Antonio ISD (SAISD) and replicate the programs that demonstrate success. This video highlights the chess program at Sam Houston High School in SAISD. The SAISD Foundation has helped expand chess at elementary, middle, and high schools across the District. These programs operate as after school or lunch clubs and have facilitated student involvement in local and regional chess tournaments. Teachers report that the skills learned in chess are impacting student success in the classroom. The grants we fund in the area of enrichment support a wide range of programs including co-curricular clubs for activities such as running, scrapbooking, reading, Spanish, comic books, cheerleading, cooking and geocaching. In addition, enrichment projects often include the integration of new technology, hands-on learning tools and enhancements to the classroom environment. 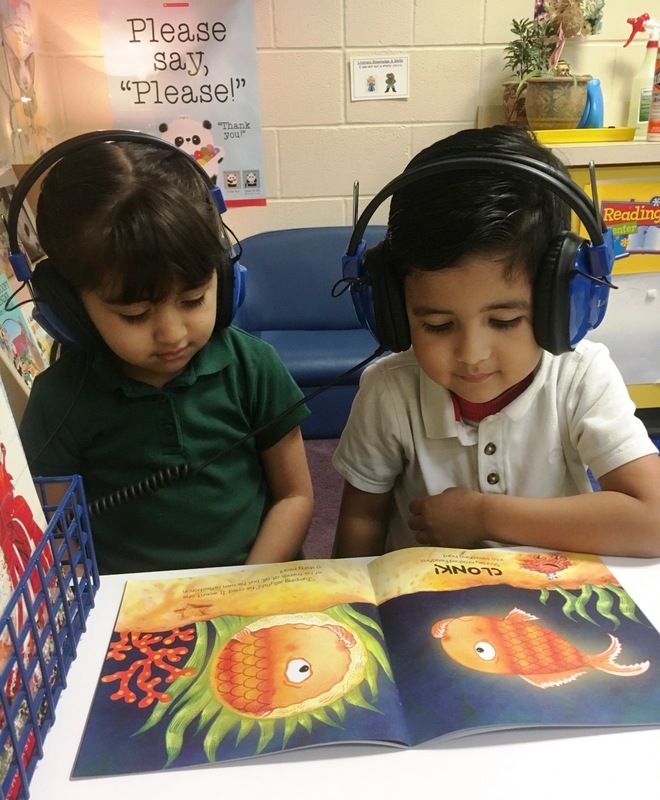 The image below shows two students enjoying their new listening centers at Arnold Elementary. These listening centers allow our youngest Pre-K scholars to follow along while books are read to them to enhance literacy. 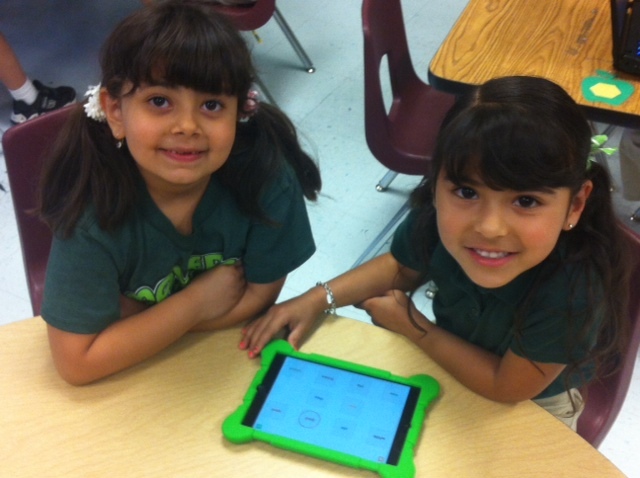 Here scholars at Maverick Elementary are using iPads to enrich their learning. These tools are have helped our early elementary students (Pre-K-2) improve their vocabularies and spelling.